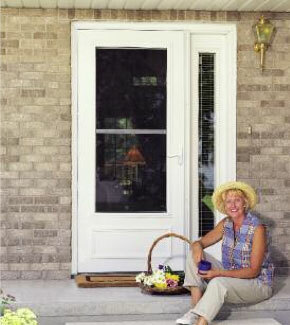 Select a Storm Door style below to learn more about its features. 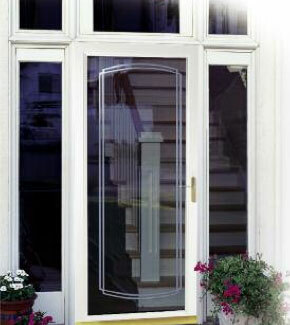 The Larson Premium Full View Storm Door offers protection against the elements while showcasing the front entry. The interchangeable screen allows seasonal ventilation. A Larson Standard Full View Storm Door allows for added light into your entryway, while making an elegant statement about your home. 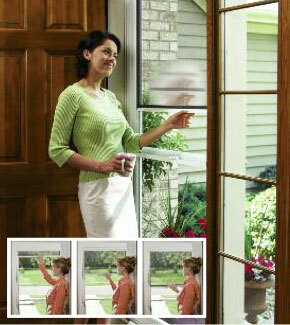 Larson introduced the first storm door with a disappearing retractable screen and counter-balanced window system. With one touch, the screen retracts into a hidden cassette at the top of the door. 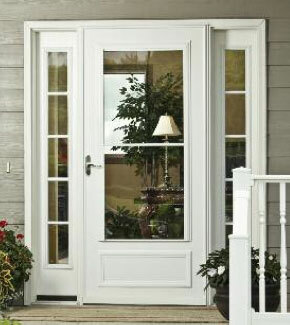 The Larson Storm Door that matches your home’s style and your lifestyle. 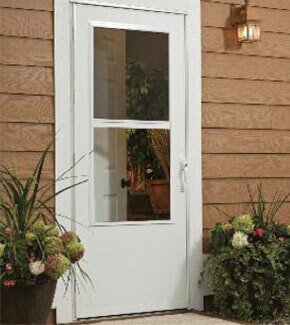 That’s why Larson Doors are designed for both beauty and function. 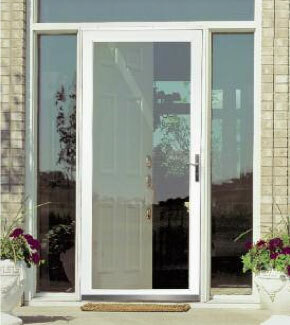 The Larson WearTuff Ventilating Storm Door provides added comfort in knowing you selected a door that can withstand everyday wear and is kid and pet friendly. With a Larson Wood Core Door, lasting performance and maintenance-free durability make this a favorite choice among homeowners. 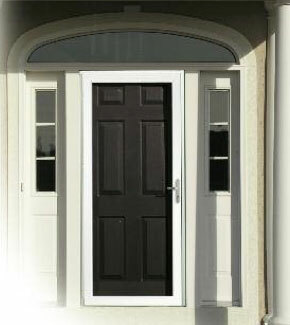 A revolutionary security storm door with an unobstructed view from the outside of your home. 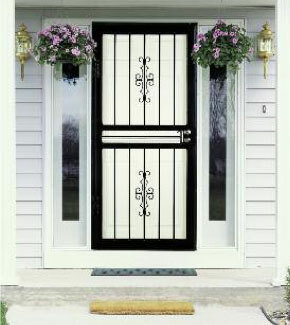 Make a dramatic design statement with a steel security storm door.